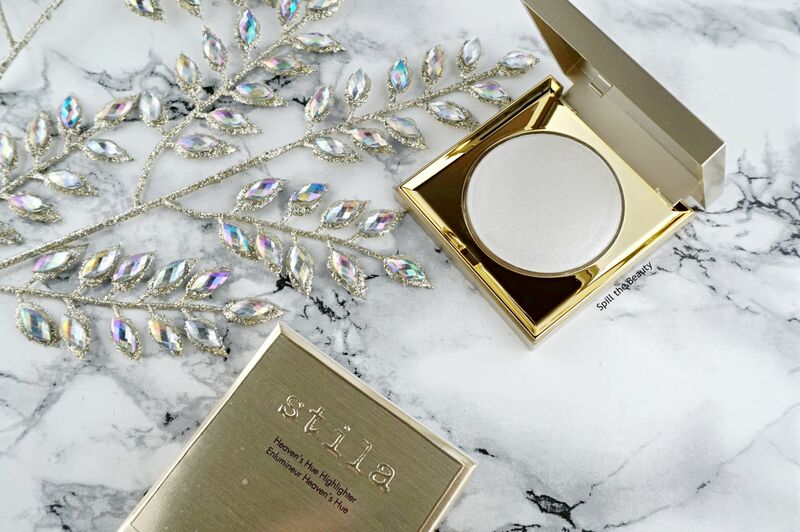 Highlighters come in many forms: liquid, powder and even putty! And while I’ve reviewed plenty of liquids and powders, today is my first time reviewing a putty formula. Meet the newest Stila Heaven’s Hue Highlighter in the shade Opulence ($32 USD/$42 CAD). You might have seen beauty gurus play around with this on YouTube (for some reason I cringe whenever I see them poking and mushing around the product), but today it’s my turn. 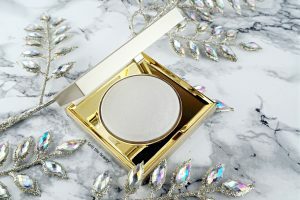 Opulence comes in matte gold compact, containing 10 g of product, partnered with a mirror. 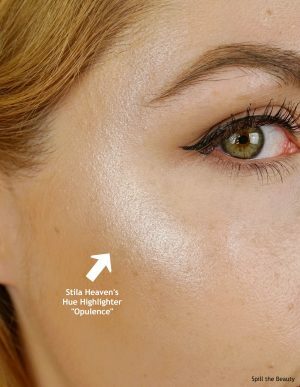 Oh man, was this highlighter ever cool. The shade was the definition of an icy highlight, and the formula was so different from anything I have ever used before. 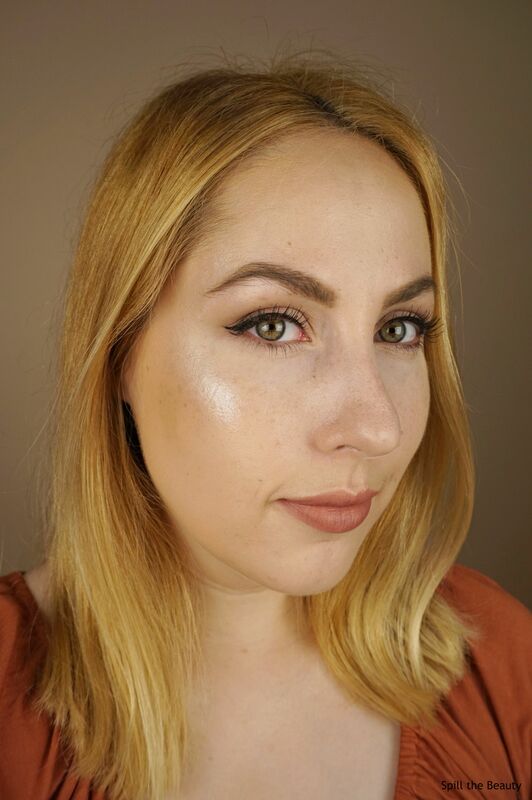 I usually see people apply this strictly with their fingers, but because I was looking for a subtle glow, I applied a base glow with a Morphe M501 brush, and then went in at the end with my fingertip, tapping the product into the centre of my “highlight point” (I never really thought I’d have to make a name for it, but it’s pretty much the area I highlighted. I guess it’s like….the ground I covered). Just look at it! Believe it or not, I wasn’t trying to go for one of those “blinding” highlight looks. Because my internship is in an office setting, I didn’t want my makeup to be too intense. Although the glow looks nuts, this was actually totally “office-friendly” – what I mean by that is when I was out of direct light, the glow was so understated, but when you aim those cheeks towards the sun….WHA-BAM! Kind of like a bi-phase highlight. 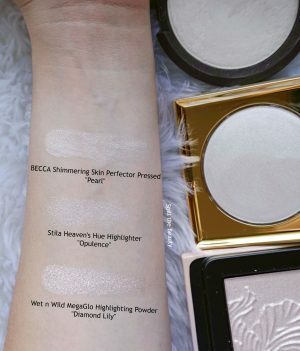 Not only can this highlighter be subtle and impactful at the same time, but it stands out from the rest of my highlighters because of how unique the formula is. 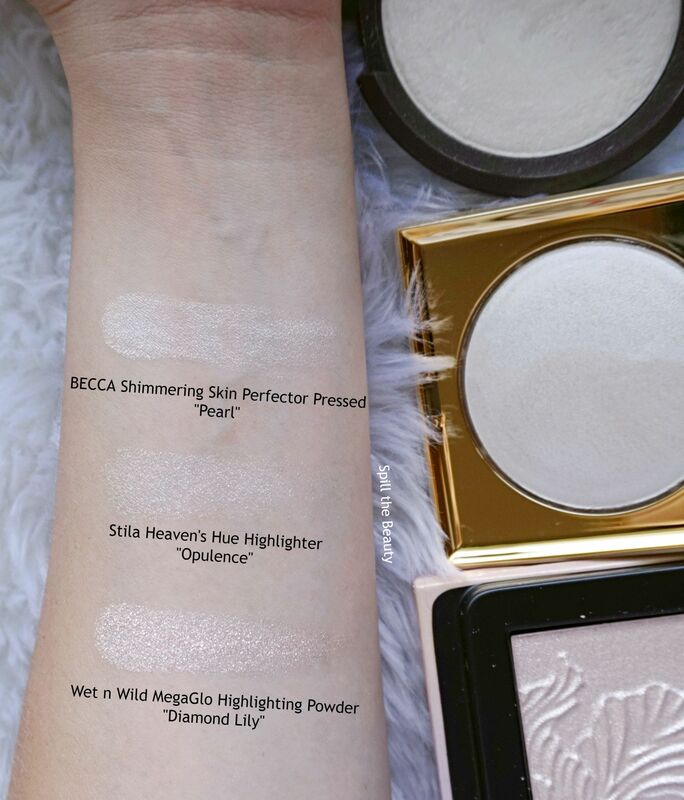 Compared to the two powder highlights below, you can see how Opulence looks like a second skin, while the powder highlights, although more intense-looking, still look like a powder on the skin. 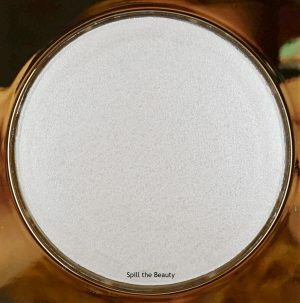 One big thing I look for in makeup is shelf-life, so I wonder how this putty formula will stand the test of time. Will it dry out in a few months? Will it still be usable once it dries out? 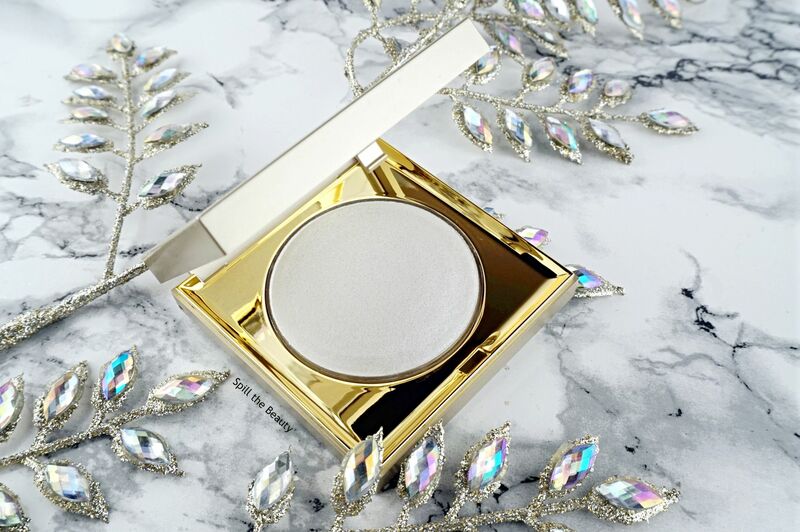 If you’ve ever used a Heaven’s Hue Highlighter before, let me know how it lasted in the comments below.